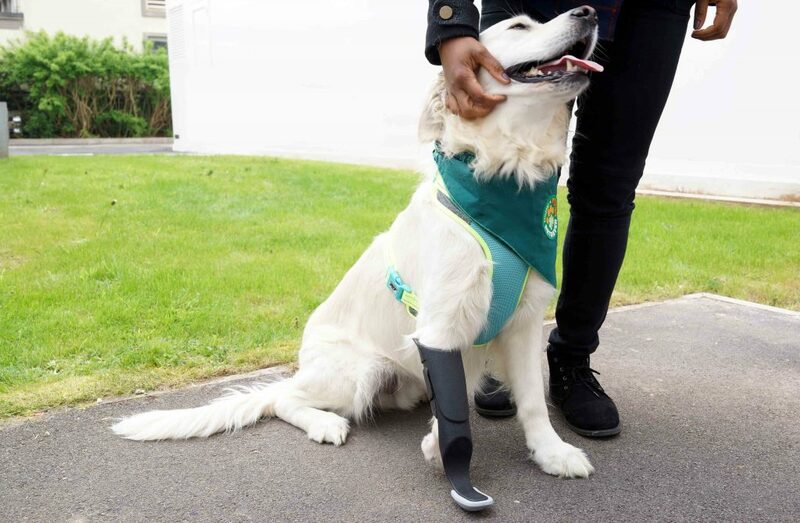 CBM were given the challenge to design a bespoke prosthesis for ‘Duke’ and his unique leg deformity. 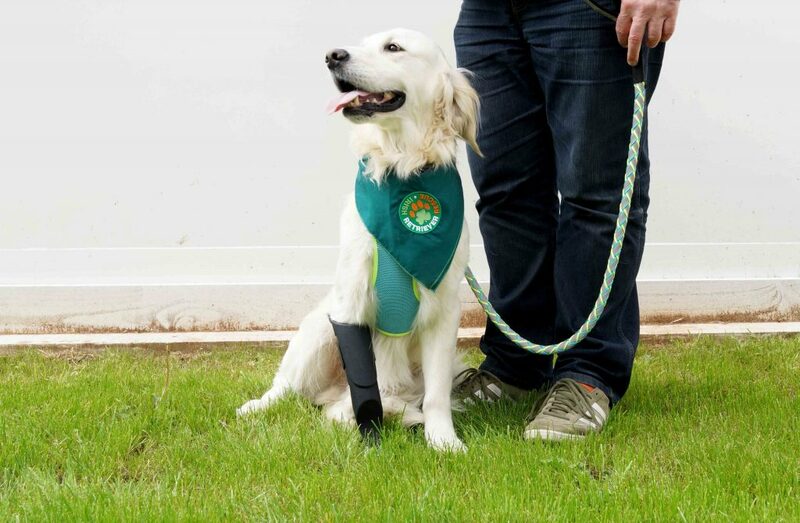 Duke, an Irish retriever, has had his life turned around thanks to the dedicated volunteers at Irish Retriever Rescue (IRR), he was found abandoned with a complex deformity that effected his front right limb, causing it to develop smaller with an enlarged paw that made it impossible to walk on. 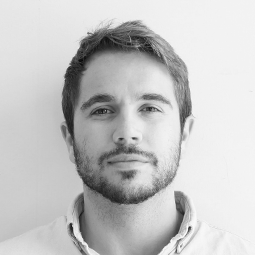 The IRR asked us if we could design a prosthetic limb to help him walk on all four legs again. 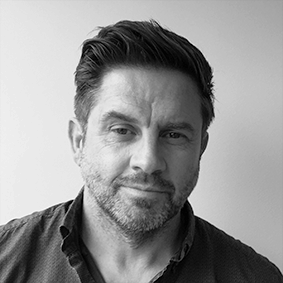 The design of the prosthetic itself was a collaboration between the multidisciplinary teams at CBM, and Informed Design decisions were made possible by working closely with Duke, his foster owner Phil and a consultant orthopaedic surgeon. Using CT scan data of the limb the medical engineers at CBM were able to capture 3D data specific to the complex geometry of Duke’s deformity, this ensured the design would be a perfect bespoke fit, and spread the loads evenly across the limb to maximise comfort. Following initial concept design sketches and 3D CAD modelling/detailing by the design team, CBM Manufacture produced a series of in house 3D printed prototypes, the fit and performance of the product was then tested on Duke allowing the design to be refined. The 3D CAD was updated and Finite Element Analysis (FEA) undertaken to verify that the design would perform under the anticipated loads. 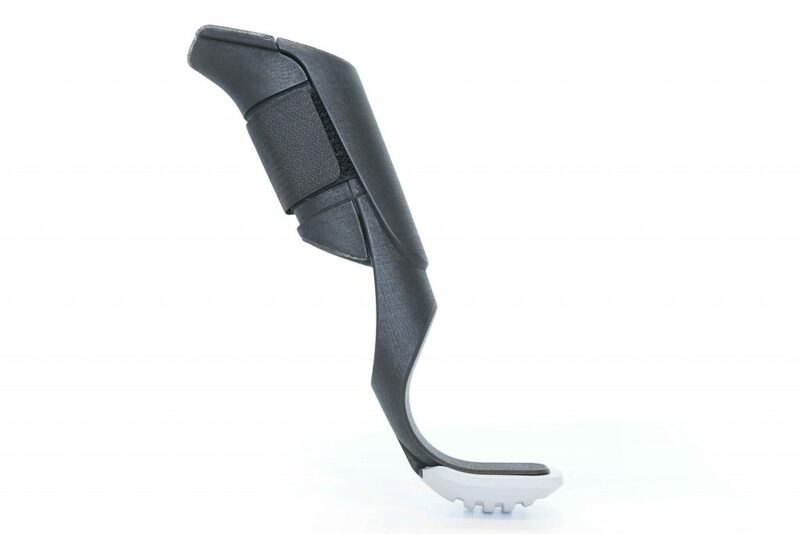 The final prosthesis is an extremely tough Nylon 12 construction manufactured by Selective Laser Sintering (SLS). The Prosthesis is completed with internal foam cushioning to further reduce the risk of pressure sores, and a vacuum cast elastomeric foot, improving impact resistance and adding tactile grip to varied ground surfaces. Duke appears to be very happy with his new prosthesis and he’s using it daily to explore on all four legs!